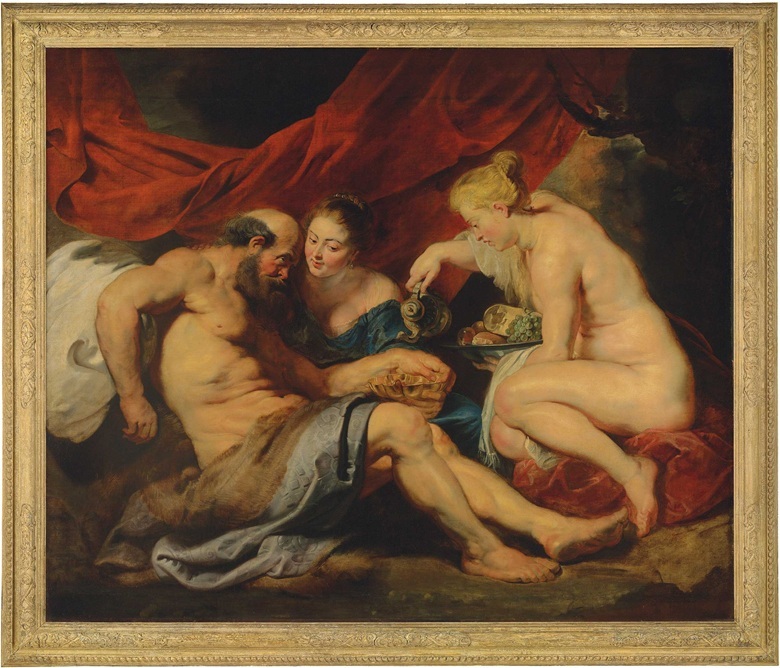 Sir Peter Paul Rubens’s masterpiece, Lot and his Daughters (circa 1613-1614) will be sold by Christie’s as the centerpiece of a curated week of sales, Classic Week*, in London this July. An outstanding example of Rubens’s early maturity and one of the most important paintings by the artist to have remained in private hands. The work has been hidden from public view for over a century and will be exhibited during Christie’s New York Classic Week (8 – 12 April 2016) and in Hong Kong (26 – 30 May 2016), before being offered in London Classic Week, leading the Old Master & British Paintings Evening Sale on 7 July. Lot and his Daughters boasts a distinguished provenance, once forming part of the collections of wealthy Antwerp merchants; a Governor-General of the Spanish Netherlands; Joseph I Holy Roman Emperor; and the Dukes of Marlborough. It was included in the first volume of The English Connoisseur from 1766 and has since been listed in all the major publications on Rubens’s work. The sale of this painting by the quintessential artist of the Northern Baroque presents a rare opportunity for both international collectors and institutions. At the time that Rubens painted Lot and his Daughters, his reputation as the most important and fashionable artist in Antwerp had already put him at the centre of the European artistic stage. Having worked in Rome at the court of Vincenzo I Gonzaga, Duke of Mantua, he was appointed court painter in Brussels to the Archdukes Albert and Isabella in 1609. During this period, Rubens produced some of the most well-known works of his œuvre, including two monumental altarpieces,The Raising of the Cross, commissioned in 1610 for the church of St Walburga, and The Descent from the Cross, painted in 1611–1614 for Antwerp Cathedral. In addition to these public works, Rubens carried out a number of private commissions, instilling traditional religious subjects, such as Lot and his Daughters, with an exciting new energy. The recorded provenance of Lot and his Daughters begins with the first known owner Balthazar Courtois, an Antwerp merchant who died in 1668. Listed in the inventory of his estate, the painting was described as a ‘schouwstuck’ (chimneypiece). It has not been established whether Courtois commissioned the painting from Rubens, but the description of it in his Antwerp house accords with the almost certain appearance of this picture in an Interior Scene (circa 1625-1630), Frans Francken II (1581-1642) and attributed to Cornelis de Vos (1584/85–1651). This magnificent painting has changed hands on only a few occasions. In 1668 it was inherited by Courtois’s son Jan Baptist, it then passed to the wealthy Antwerp merchant Ghisbert van Colen. In 1698 it was bought from van Colen by the military commander and avid collector Governor-General of the Spanish Netherlands, Maximilian II Emanuel (1662–1726), the Wittelsbach Elector of the Holy Roman Empire until his exile. The painting was then given to John Churchill, 1st Duke of Marlborough (1650–1722) in 1706 by Joseph I, Holy Roman Emperor (1678–1711), as a trophy in gratitude for the victories at Blenheim and Ramillies. Marlborough’s collection included at least 10 other pictures by Rubens and placed Lot and his Daughters in the Great Room at Marlborough House in 1740 until eventually being moved to England’s greatest early 18th-century country house, Blenheim Palace, where it was hung in the Library in 1766 and in the Dining Room by 1810, paired with Rubens’s Venus and Adonis (also from the collection of Maximilian II Emanuel). Around 1710-1720 the canvas was slightly extended at the top and bottom edges and the fine Blenheim frame in which it still hangs was added to complement the furniture of Blenheim Palace, designed by James Moore. The work remained in the Marlborough collection for at least a century until acquired by the entrepreneur, philanthropist and collector Baron Maurice de Hirsch de Gereuth (1831–1896) from whom it has been passed by descent. The Old Testament tale, Lot and his Daughters (Genesis XIX: 30–38), had been a favoured subject with Northern European artists since the Renaissance with notable examples portrayed by Lucas van Leyden, Jan Massys, Joachim Wtewael and Hendrick Goltzius. Exploring the themes of vice and virtue, Lot and his Daughters is a cautionary story, which Rubens returned to throughout his career. Pulsating with life, this canvas illustrates the events after Lot and his family have fled the immoral city of Sodom having escaped to the desolate mountain town of Zoar. His two chaste daughters, fuelled by the desire to continue their lineage following the destruction of Sodom and Gomorrah, conspired to seduce their father and from who, according to the Bible, Jesus Christ was directly related through David’s great-grandmother Ruth, who was descended from Moab.